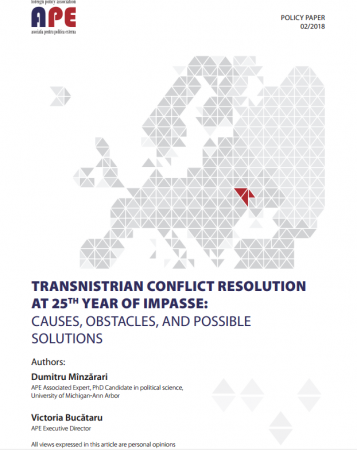 Dumitru Mînzărari and Victoria Bucătaru: Transnistrian conflict resolution at 25th year of impasse: Causes, obstacles, and possible solution. Dumitru MÎNZĂRARI, APE Associated Expert, PhD Candidate in political science, University of Michigan-Ann Arbor and Victoria BUCĂTARU, APE Executive Director. 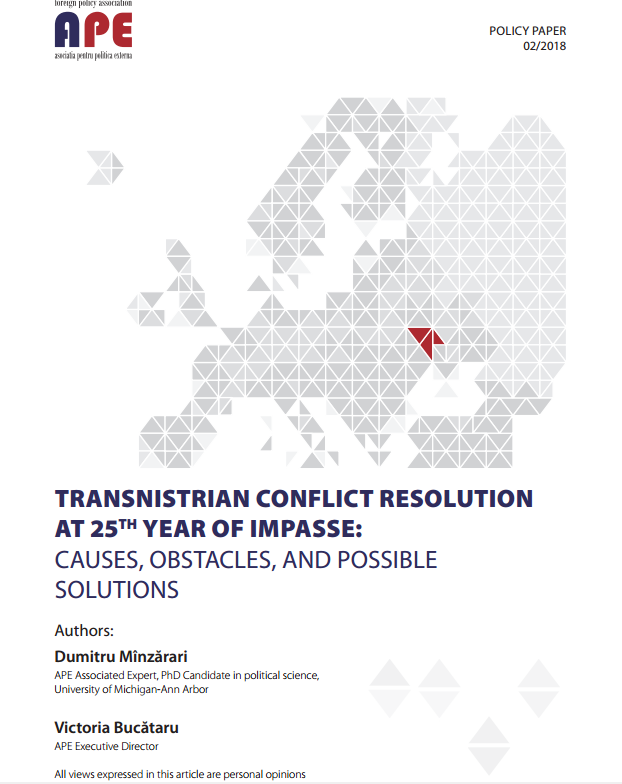 The body of policy and academic research on frozen conflicts in post-Soviet regions, in this instance the Transnistrian conflict, in general does not strike as a very diverse one. 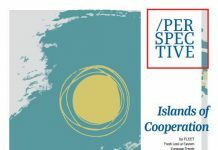 In fact, it has revealed a very conformist and non-inquisitive approach by claiming the conflict trigger is related to inter-ethnic disagreements. Even though over the last several years the political debate in the West shifted (at least in rhetoric) from a purely ethnic conflict explanation to a “political” conflict, the logical underpinning is still based on the ethnic confrontation assumption. The fact that most policy interventions, such as negotiations approaches and conflict-resolution projects, still involve “confidence-building” is a testament to this. The Russian aggression in Ukrainian Crimea and Donbas has done little to change this perception, surprisingly. 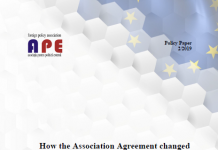 For instance, an influential European think tank has recently mentioned that “the annexation of Crimea and the war in Donbas represent the first instance where Russia has actively instigated secessionist conflicts”. 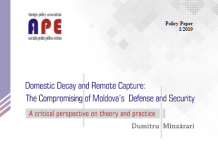 This paper is going to argue and show that the mechanisms of conflicts in Ukraine and Moldova are strikingly similar and are both driven by the hybrid war dynamics. It is going to present the logical conclusion that the negotiation process, as well as any conceived solutions, should not be guided by ethnic conflict assumption. 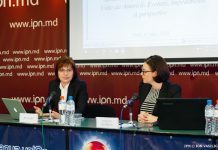 This paper was elaborated in the framework of the project: “Moldova reality check – Study visit to Moldova of the US Congressmen in 2017” and “Promoting Confidence Building Measures and Sector Cooperation between Moldova & Transnistrian region” financially supported by the Black Sea Trust for Regional Cooperation. 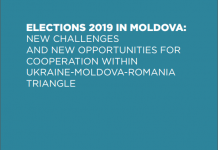 The opinions expressed in the paper are those of the author and do not necessarily reflect the views of the Black Sea Trust for Regional Cooperation or the Foreign Policy Association of Moldova.